It’s another week of book collecting! I’ve visited the secondhand bookshop near me twice in the past couple of weeks as I’ve been able to show both my lovely friend Courtney and co-blogger Pete my favourite bookshop. It’s been awesome to show them around and I managed to pick up some great finds! I’ve been looking for second hand copies of The Grisha Trilogy as I love Leigh Bardugo and Six of Crows. As lovely as the new paperbacks are, I still prefer the old ones. So I was very happy to come across this! Alina Starkov doesn’t expect much from life. Orphaned by the Border Wars, she is sure of only one thing: her best friend, Mal–and her inconvenient crush on him. Until the day their army regiment enters the Fold, a swath of unnatural darkness crawling with monsters. When their convoy is attacked and Mal is brutally injured, Alina reveals a dormant power not even she knew existed. 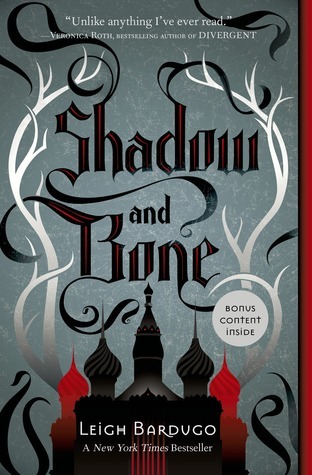 Ripped from everything she knows, Alina is taken to the royal court to be trained as a member of the Grisha, the magical elite led by the mysterious Darkling. With Alina’s extraordinary power in his arsenal, he believes they can finally destory the Fold. Now Alina must find a way to master her untamed gift and somehow fit into her new life without Mal by her side. But nothing in this lavish world is what it seems. As the threat to the kingdom mounts and her dangerous attraction to the Darkling grows, Alina will uncover a secret that could tear her heart–and her country–in two. Yes definitely! Me too, I love having something unique!